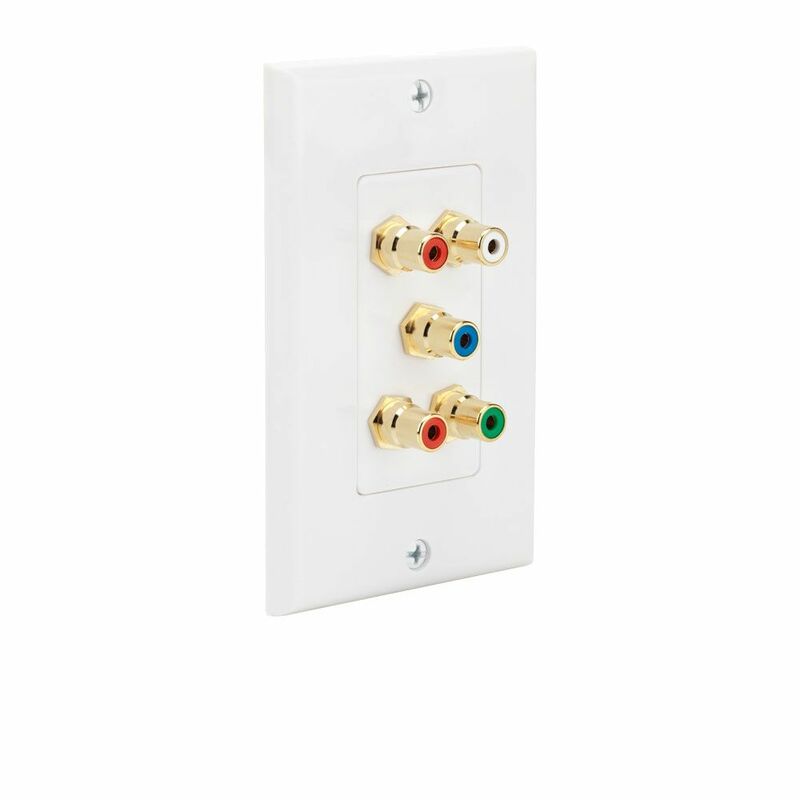 The CE-TECH White 4-Post Center Pin Speaker Wall Plate is designed to connect up to 2 speakers with in-wall wiring. This wall plate offers gold-plated connectors on the front and back. Av Composite Wall Plate The CE-TECH White 4-Post Center Pin Speaker Wall Plate is designed to connect up to 2 speakers with in-wall wiring. This wall plate offers gold-plated connectors on the front and back. Av Composite Wall Plate is rated 4.5 out of 5 by 2. Rated 5 out of 5 by Cheech from Very useful product AV composite plate came in real handy for hooking up my home theater speakers in my basement. I ran the wires in the ceiling and then down the wall and put in the AV plate to tie it all in. Looks professional and looks like I know what I'm doing. Only Home Depot had what I was looking for. Rated 4 out of 5 by desi777 from product is nicely made Produ t is nicely made. It fits other wall plates with ease. The wires that plug into it connect tightly so the dont slip. Overall its a good product with a decent price.